Are you ready for the first EDL demo of the year? The Anti-Fascist Network are!! 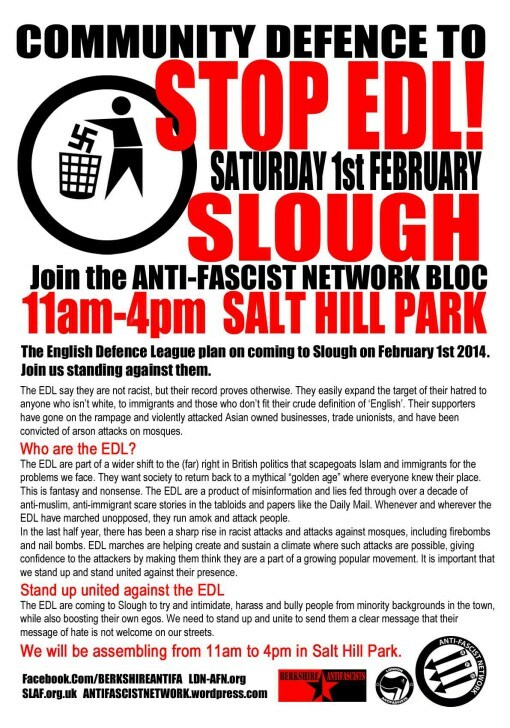 Go here for the latest details on Slough, the first EDL demo of 2014.